Buck up, fellow iPhone hacker. I’ll tell you how to upgrade from your hacked Apple phone and keep all the settings you love from your original iPhone. The good news is that it’s not hard and there’s a set of five steps that will combine the comfort of your old settings with the joy of the new 3G iPhone. I’ll lead you through the steps. Upgrade to iTunes 7.7 (or whatever the latest version is). Plug your hacked iPhone into your computer and make sure that you sync. When you sync, a backup of your iPhone’s settings data is stored in iTunes. Recharge the power in your old hacked iPhone and turn it off. If you want to be ultra-safe, see my post about how to backup iPhone data. 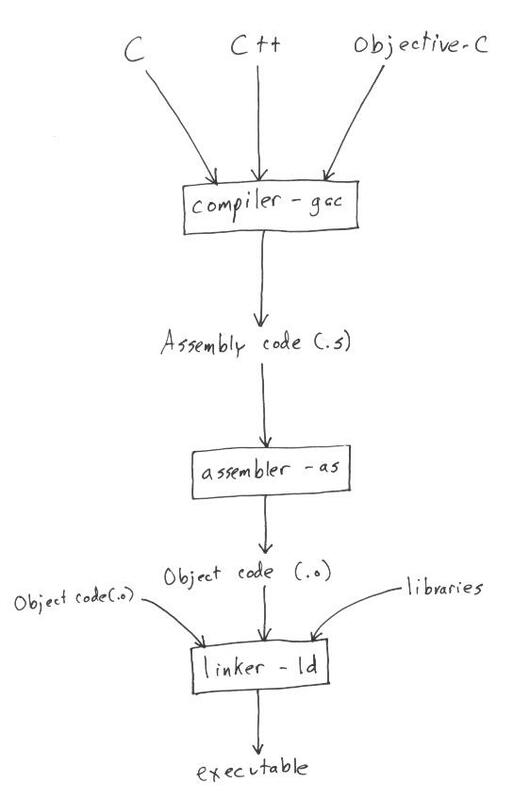 This step is time-consuming, but not hard. 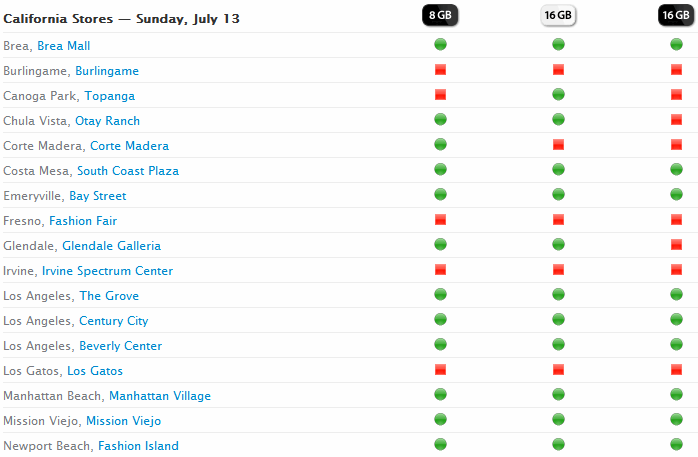 Apple has a page for its stores and after 9 p.m. you can check the Apple iPhone availability to find a store that has the new iPhone 3G. Hint: if there are multiple stores in your area, call each to see which has the shortest wait. When you buy the iPhone 3G, you don’t need to mention to the salespeople that your previous phone was hacked. Just buy the iPhone 3G and let them activate the phone in the store. Choose to restore from a backup and the last sync of your old hacked iPhone should be offered as a choice. 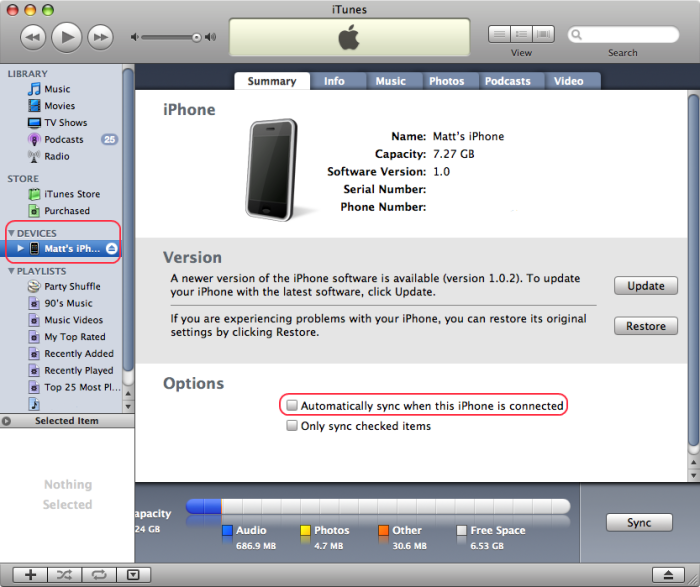 Let iTunes restore the backup data and settings from your hacked iPhone to your new iPhone 3G. Once it’s done, pretty much everything should be like it was on your hacked iPhone. The iPhone 2.0 firmware adds some new options, so make sure you explore the settings menu and set any new options the way that you want. Also, if your iPhone is configured to fetch email, your email passwords on the new iPhone 3G will be empty. You will need to re-enter your email passwords. Finally, if you want to use the Apple App Store, you may need to add a credit card or authorize your computer to purchase things, even if you only want to download free applications. I have a personal policy not to put my data where I can’t get it back out, so I tend to buy MP3s instead of buying music with proprietary Digital Rights Management (DRM) from the Apple Store. As a result, my computer had never been authorized to buy things from the Apple Store. To authorize your computer, in the iTunes program click Store->Authorize Computer… and enter your Apple ID. Once your computer is authorized, you might need to click Store->Check for Purchases… if you tried to download an application from the App Store before your computer was authorized. The iPhone running software version 2.0 has been hacked, so there’s no need to keep running old firmware on your old hacked iPhone. Plug your old hacked iPhone into the computer running iTunes 7.7 and make sure that iTunes is running. Under the “Devices” entry on the left hand side of iTunes, when you click on the iPhone device, you should see a screen with a “Check for Update” button. Click that button. I was running firmware version 1.1.1 and at first it offered me firmware version 1.1.4. So I exited iTunes, restarted iTunes, and clicked “Check for Update” again. Then it offered me firmware version 2.0. Click to install firmware version 2.0 on the old hacked iPhone. One nice thing about the iPhone’s firmware version 2.0 is that it adds a “secure wipe” that attempts to erase all data completely from your iPhone. That means you can sell the old iPhone or give it to a friend without worrying about all those crazy pictures you took, the 1-900 numbers in your contacts, the SMS messages that reveal things you want to keep private, etc. Here’s how to erase everything on your old iPhone. Eject the phone in iTunes, disconnect the phone from the computer, then press Settings, then General, then Reset, then Erase All Content and Settings, then Erase iPhone. You may have to confirm a couple times that yes, you really want to wipe your iPhone. The process takes about an hour, so I connected my iPhone to a cable that was plugged into a power outlet to ensure that the iPhone wouldn’t run out of power in the middle of wiping it. When the iPhone is finished erasing itself, it’s suitable for giving to a family member or selling on eBay or whatever. iPhone 3G: Come on in, the Water’s Fine! If you read all the press on Friday, it sounded like a full-out iPocalypse as Apple’s in-store activation of the iPhone failed, which left a bunch of people steamed. I left a Summize search for [iphone] up in my browser; there were probably 10K+ twitters on Friday that mentioned the iPhone. By afternoon I noticed that Twitter complaints about the activation and 2.0 firmware were dying off, so my wife and I decided to do a “date night” to wait in line for an iPhone at Valley Fair Mall in Santa Clara. We showed up at 3 p.m., waited in line for two hours and 45 minutes, and had our iPhones ready and activated by 6 p.m. The line moved slower than last year because this year Apple required that you activate the phones in the store. If you don’t want to wait in long lines, a good strategy for Apple products is just to show up later in the day after the initial surge subsides. Last year we waited until evening to buy our first iPhone and the line was only five people long. All three Apple stores in Silicon Valley have iPhones in stock, for example. If there are multiple stores in your area (check this page for Apple store locations and phone numbers), call each one to see who has the shortest line. I like my iPhone 3G a lot, and plan to do several iPhone-related posts. The main thing you need to know right now is that any snafus on Friday were temporary, and it should be pretty doable to get an iPhone 3G now if you want one. If you want to hack your iPhone, be prepared for the notion that you can lose all your data or (worst case) turn your iPhone into a useless brick — thus the origin of the word “bricking” a device. Normally if things go awry, the worst that will happen is that you have to restore your iPhone to its initial pristine state. That means that you’d lose your settings and data on the iPhone. So before proceeding with hacking your iPhone, make sure you save off your data as follows. – Back up contacts – I don’t use Outlook or Outlook Express, so my contacts are stored using the Windows Address Book (found with Start->Programs->Accessories->Address Book). I exported my contacts as a WAB (Windows Address Book) file and a CSV (comma-separated value) file. Added: in iTunes, plug in your iPhone, click on the iPhone device, then under the “Info” tab, look for the “Contacts” section. Make sure that you check the box for “Sync contacts with:” and select “Windows Address Book”. It turns out that these two annoyances cancel out. 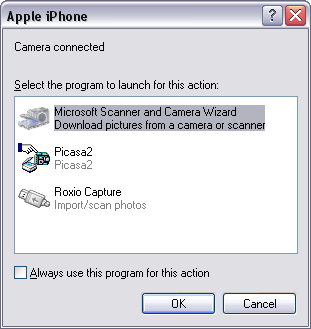 🙂 Go ahead and run the “Microsoft Scanner and Camera Wizard” and you can import the pictures on your iPhone and move them to your Windows computer pretty easily. – Back up settings – This sounds horribly low tech, but grab a blank piece of paper and walk through your “Settings” application on the iPhone and just write down each setting. It’s boring, but in 10-15 minutes you’ve got a record of every setting on your iPhone, so it won’t hurt if you have to restore your iPhone to a pristine state. Added: Any time you sync your iPhone to iTunes, iTunes also saves your settings, but I prefer to have a paper backup just in case. – Back up music – I don’t buy music from iTunes; I use MP3s from my music collection. So I had copies of the music on my iPhone somewhere else and didn’t worry about backing up my music. – Back up bookmarks – I use Firefox for my normal bookmarks and Internet Explorer for my iPhone bookmarks. I don’t have that many iPhone bookmarks, so I didn’t worry about saving a safe copy somewhere else. Added: in iTunes, plug in your iPhone, click on the iPhone device, then under the “Info” tab, look for the “Web Browser” section. I checked the checkbox for “Sync bookmarks with:” and selected “Internet Explorer”. Once IE has your iPhone bookmarks, then in Internet Explorer you can click File, then “Import and Export…” to open a wizard. Click “Next”, then “Export Favorites…” and “Next”. The following screen lets you export some or all of IE’s bookmarks (called Favorites). If you don’t change anything, you’ll select all the bookmarks, so just click “Next”, and then you can specify a file where the exported bookmarks will be saved. I assume that your iPhone syncs files to your Apple computer. To be cautious, make backups of whatever data you can by copying photos/file data to an extra-safe location. Any Apple users want to chime in with more specific advice? Okay, your data is backed up — you’re all set to begin hacking your iPhone. I’ve only had good experiences so far, but remember that things can go wrong. So back up that data first!